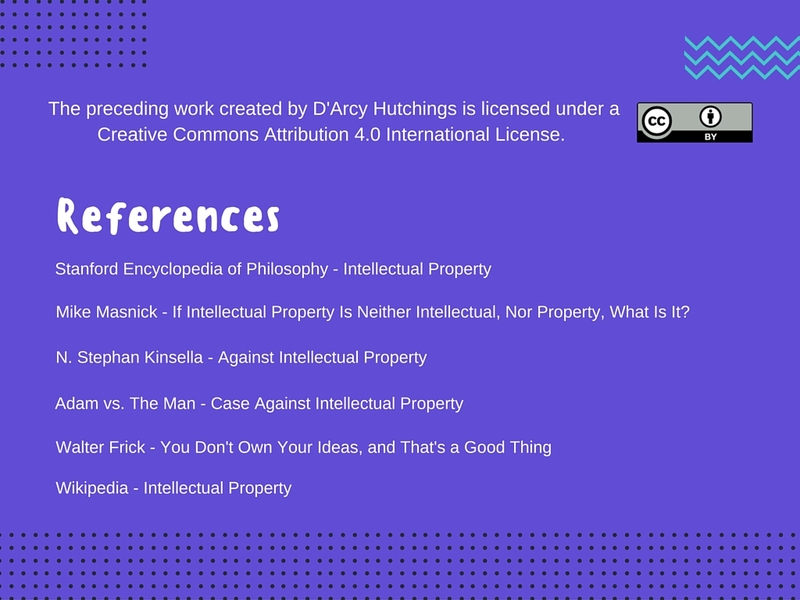 Is intellectual property a legal right? – D'Arcy L. Hutchings, MLIS, Future M.Ed. 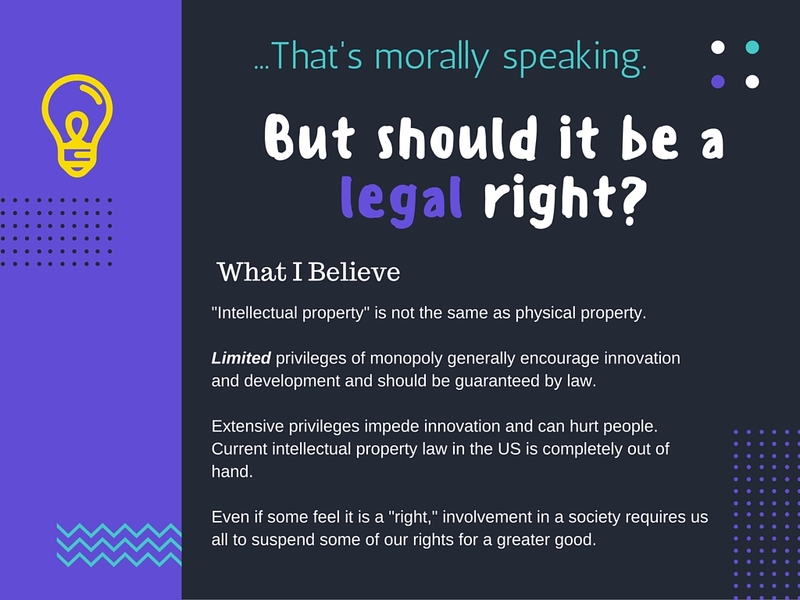 Is intellectual property a legal right? I absolutely agree that the IP is completely out of control and needs a huge overhaul along with a reality check. 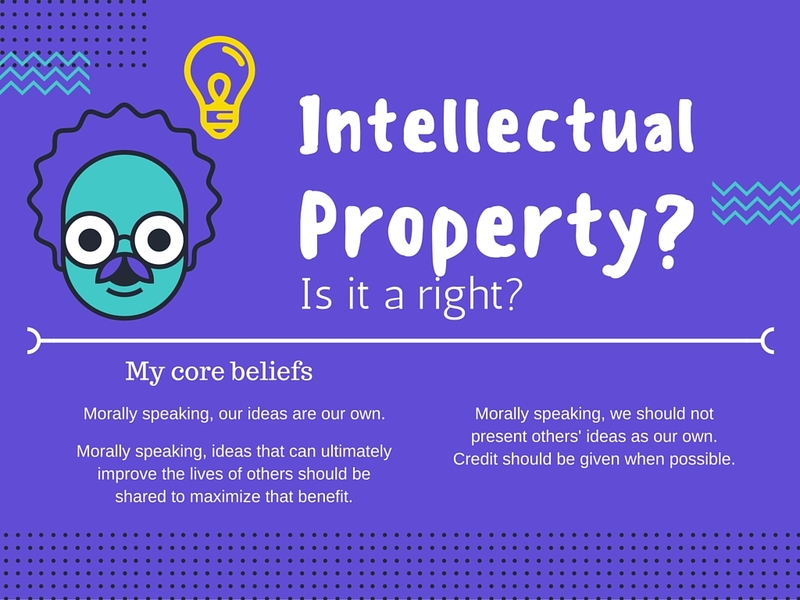 I also believe that confining the ownership of ideas only to certain individuals or even companies is a hindrance to progress (and common good) and there should not be a way to completely “own” your ideas for one simple reason — a single log is not a fire unlesss it ignites other logs. That ignition should be allowed, moreover, it should be fostered. And I totally agree with you on Limited privilege as well. I think some sense of ownership is necessary, especially where livelihood is concerned. One of them being, who defines what the greater good is? Affording the protection to the creators and thinkers and makers gives them ability to take part in that kind of decision-making. And it’s a good thing, I think. It’s fascinating how the slippery idea of IP threads back and forth between moral/ethical considerations and legal policy. I think the framers of the constitution tried too had (for good reason) to disengage from the ethical considerations of ownership of ideas…but in doing so, and by framing the fundamental constitutional protection in terms of securing progress, they were opening the door to extrapolation, magnification and even monstrous perversion. This is at the heart of the notion of reasonable vs extensive or overbearing protections, isn’t it? Your last point on the second slide gets to a troubling (to me) direction some take the argument…to the more extreme Libertarian end in which “involvement in a society” and “greater good” are explicitly dismissed or assumed to be natural characteristics of a system based on “natural rights.” I don’t think people work that way!